Small - $73.99 Only 5 left! Medium - $73.99 Only 3 left! Large - $66.99 X-Large - $66.99 Only 9 left! 2X - $66.99 Only 2 left! We finally did it! We have an army of grandmas cooking up new designs to get ahead on the whole Ugly Christmas Sweater game, but now, we finally did it. We figured out the exact recipe for the perfect sweater. It was Senior Sweater Designer Mabel Ethelworth who cracked the code. She figured out that if you combine the classic Christmas colors of green and red together and then add a tacky Christmas light pattern, you could achieve maximum ugliness. Then, she went ahead and put the design on a bold, blue material. When she was done, she knew that she’d created a masterpiece! 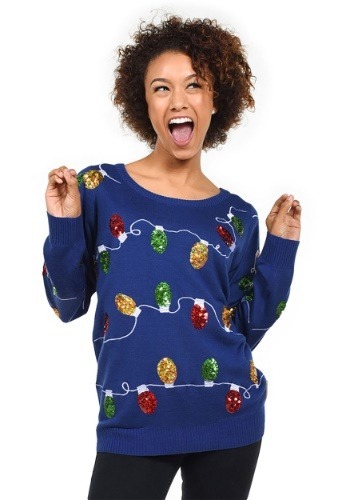 Alright, so maybe we don’t have an army of grandmas working for us and maybe Ethel didn’t create this Christmas Light Ugly Sweater. It was actually made by the folks from Tipsy Elves, but you have to admit that it does sort of look like it was crafted by the hands of a skill grandma! 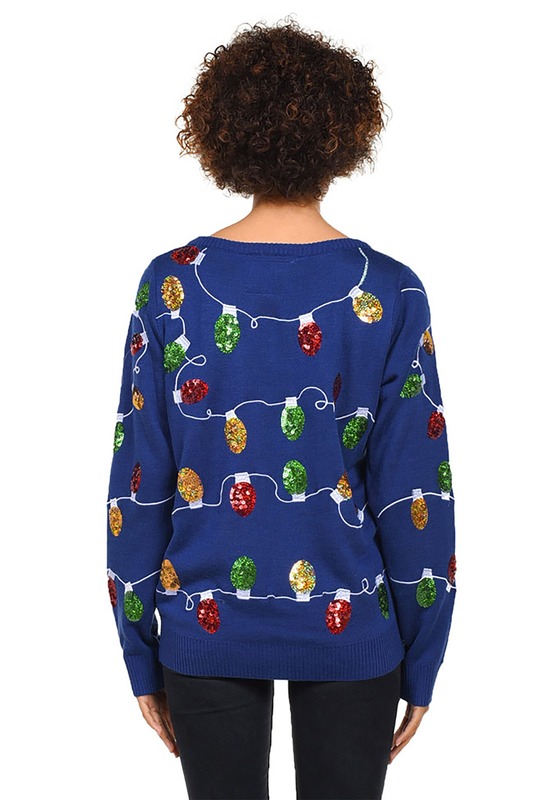 The sweater itself is a dark blue color and has sequin Christmas lights on the front. 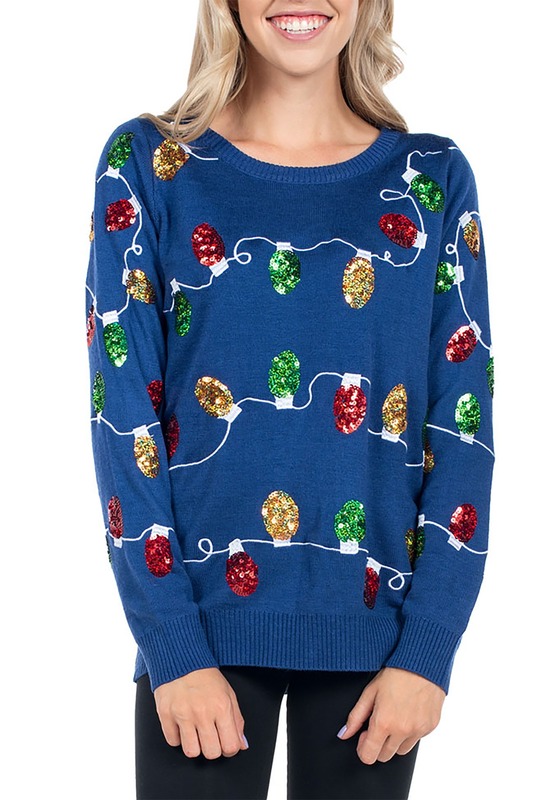 It’s comfortable, festive, and oh, so ugly! Pair this up with a Santa hat and you’ll be ready to go full-on ugly sweater mode this Christmas season.